TONS OF NEW TITLES — short reviews of important releases. ALL ON SALE at Hearts & Minds Books. We’ve been on the road in our busy season, and I wish you could have seen our large and interesting book displays among the good small town folk of our regional Wee Kirk, the PC(USA) small church conference and the somewhat more upscale national conference sponsored by the Christian Legal Society that brings together faithful lawyers, law professors, judges , human rights and religious liberty activists as well as legal scholar (and students – three cheers for law students preparing for their high calling in the legal profession.) Different sorts of events from a Mennonite camp surround by the turning Western Pennsylvania leaves to the hustle of Crystal City in Northern Virginia, it is our privilege to serve God’s people working to advance Christ’s Kingdom of grace wherever we can. Thanks to those who support our bookish work on line, too, for you enable us (insofar as we can remain solvent through your purchases) to help these various sorts of groups flourish and be encouraged. Thanks for being a part of this exciting story of Hearts & Minds and the way we get to serve groups that are doing good work. Pray for us, too, as I speak tomorrow at a student conference (FLOW) at Penn State, and then drive to Montreat, North Carolina where I’ll join a stellar group doing an event there helping students and faculty and staff relate faith and scholarship as they prepare for various callings and careers. In between we’ll be setting up small displays at other events, from a woman’s retreat to an annual Luther lecture here in Central PA. Whew. So, I don’t have as much time to carefully explore these books as I might wish. And I’m pretty tired from too many late nights. For now, just know that the new titles keep coming in. This is only a small portion of the many new books we get – sorry our inventory is not on line. But if you are looking for a title it may very well be that we have it here. And if not, you know we usually can order quite quickly. It is our pleasure to do research and serve your book needs, no matter what. Give us a call or send an inquiry through our website. Our staff here are at your service. These are brand new and look great, don’t they? Enjoy. Send us an order by using the link at the end that takes you to our secure order form page. 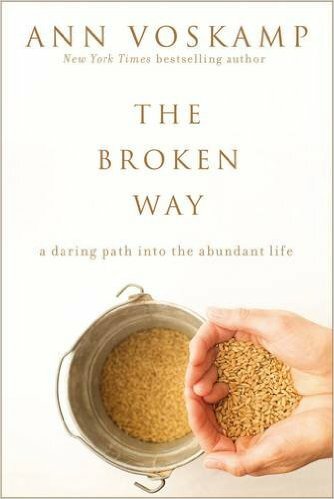 The Broken Way: A Daring Path Into the Abundant Life Ann Voskamp (Zondervan) $22.99 This just released and will be one of the biggest selling and most appreciated books of this year; we can be glad, too, as Voskamp is a great, energetic, poetic, artful writer. She has done two great family-oriented Advent devotionals, and a ton of forewords and endorsements; her presence in the world of popular religious writing is notable. But, actually, other than the lovely holiday books, she has not released a brand new work since her best-selling One Thousands Gifts nearly a decade ago. In some ways, then, this is truly major release, one that has incubated for quite a while. I dipped in to some of it already and the quality earned from polishing her craft these years is evident. And her guts in sharing beautifully her own brokenness is notable. Her discussion of love and giving and a meaningful way through our broken hearts — give it away! — is intimate and powerful. The Broken Way is handsomely designed, too, with a few nice touches well worthy of such a good author. Rave endorsements are from Eugene Peterson, Philip Yancey, Christine Caine, Lysa Terkeurst and many others which point us to the value of this raw look at pain and brokenness; honoring such hard stuff is, Voskamp says, the “daring path to abundance.” Check out the artful video clip trailer for the book, here. Gabe Lyons says she “penetrates the soul with words that arrest us, convict us, and compel us to the arms of our Father. Ann Voskamps come along once in a generation. We best pay attention.” Nice. 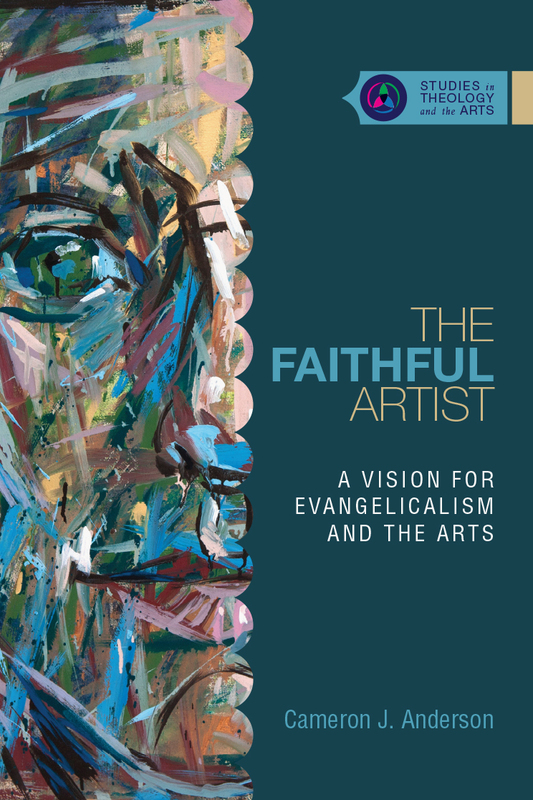 The Faithful Artist: A Vision for Evangelicalism and the Arts Cameron J. Anderson (IVP Academic /CIVA) $26.00 We are particularly excited to announce this major work by a friend, the well-loved Director of the astute national organization Christians in the Visual Arts. This is the second volume in the serious and important new series called “Studies in Theology and the Arts.” The first was a very detailed study and rebuttal of the aesthetic judgement of the seminal Hans Rookmaaker. This second one is more positive, making a systematic and lovely case for evangelicals taking the arts more seriously. Cam has been working on this a long time and it could be seen as one of the most important books offered in this field in a very long time. That is, it is surely excellent. If you know any artists who are interested in faith, they simply must get this! CIVA is a premier professional association and we respect their work so much; it is a delight to announce this essential book by their director. Highly recommended. been waiting for this and haven’t even gotten to read a chapter, yet. Christian views of art, this book is going to be fabulous. worshipping community. 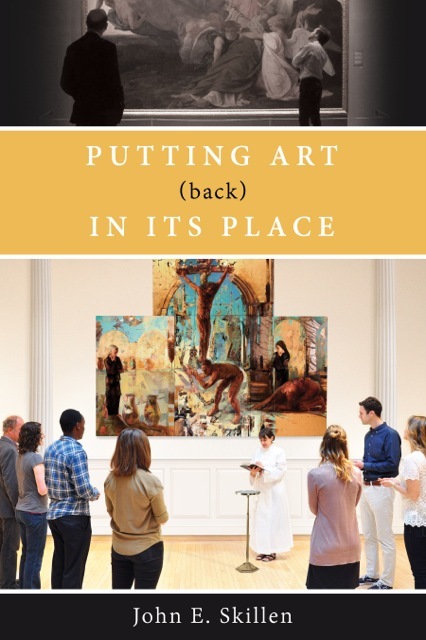 Has art been displaced from the faith community? play in the life and mission of the church. 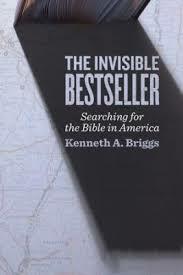 You have to look carefully at this odd cover — it’s the Bible casting a shadow on an old school road map. Clever, eh? 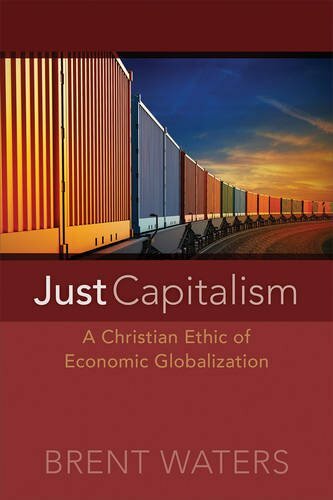 Just Capitalism: A Christian Ethic of Economic Globalization Brent Waters (WJK) $40.00 There are plenty of rather doctrinaire Christian assessments in books about free market capitalism, praising the market as if God Himself spoke to Adam Smith and baptized Western capitalism; similarly there are some that are overly critical, informed more by Marxist analysis than Biblical insight. This brand new one , Just Capitalism, is one of the rare ones — astute, mature, serious, and very balanced. It’s witty, too, sophisticated but accessible. It looks really great. 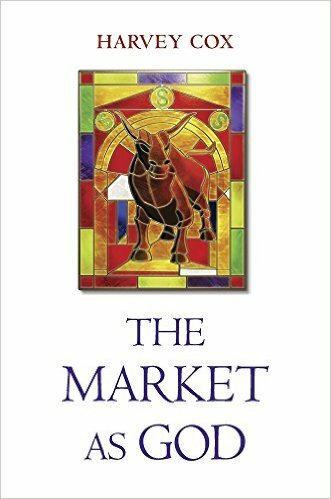 This is a book I’ve been waiting for: a careful, nuanced, but bold argument for the good of markets that neither demonizes them nor idolizes them. In other words, I no longer have to wait for Oliver O’Donovan to write a book on economics. 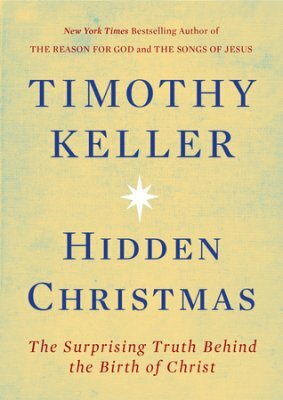 Hidden Christmas: The Surprising Truth Behind the Birth of Christ Timothy Keller (Viking) $20.00 Let me say we’ve got bunches of great new Advent books and maybe some are even more pleasant than this slim one. But it’s Keller, so I’m thrilled. It just came out a day or two ago, and I’ve only looked at the table of contents. Yes, it’s a tad pricey for less than 150 pages, but in Keller years, that’s like, uh, maybe 350 pages of content from a more ordinary author. So it’s well worth it, with 8 lovely sounding chapters. I like that he says that “Christmas, therefore, is the most unsentimental, realistic, way of looking at life.” Yep, there’s that: the incarnation is crazy, showing us God’s remarkable love and grace, and suggestion pretty strongly that we are truly in need of a savior. We cannot rescue ourselves. The world is a mess. It is worse than we may know. But the good news is better than we usually realize. I think this hard-hitting, quite logical explication of the truth of the holiday may be the best thing we’ve got on this in hears. Thanks be to God for authors and preachers who shoot straight: “There is a light outside of this world, and Jesus has come from it to save us.” We are not trapped. This is Christmas joy, for sure. Highly recommended. Stanley Hauerwas says that “Leithart simply cannot write a dull book. 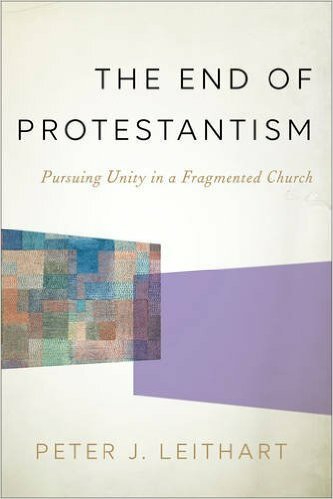 He cannot because he has the courage and intellect to go to the heart of the matter.” Richard Mouw, in a blurb on the back admits that he had given up finding “an alternative to the tribalism of divisive denominationalism and the ‘unity’ efforts of mainstream ecumenism.” Leithart convinced him that he gave up to quickly; Mouw continues: “This groundbreaking book combines exciting ecclesiological explorations with some practical steps for moving forward.” The fabulous Hans Boersma calls it “urgent and fearless.” I commend it urgently and fearlessly to mainline Protestants, evangelicals of all sorts and also to Roman Catholics and the Orthodox. I fear we won’t sell any at all, though, but let us pray that we do. We’ve got a stack here. I hope you know this means a lot to us. We should all care about the broader church. I hope this helps. 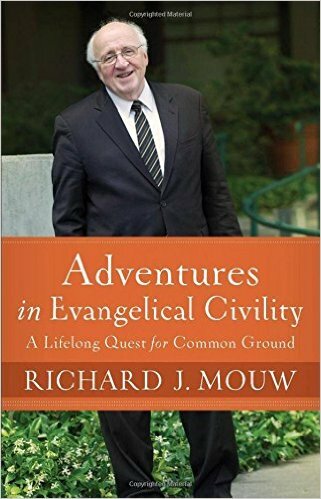 Adventures in Evangelical Civility: A Lifelong Quest for Common Ground Richard J. Mouw (Brazos Press) $24.99 Speaking of ecumenism, and of Mouw’s search for good books, this new memoir shares some of the inside scope. I wish I could call Mouw a mentor — his early books were among my favorites in the mid 70s and he remains an author I’d eager read, no matter what the topic. (You know he’ll quote Kuyper, probably a Catholic nun or mystic, and always a hymn or two.) He’s sensible, visionary, down-to-Earth, and, one of those scholars who has a particular calling, it seems, to translate the world of academia to the church and world. As a political theorist, an ethicist, and and active Presbyterian — who used to teach at Calvin College, even though he wasn’t raised in the Dutch Calvinist worldview tradition — he is my kind of guy. If you’ve followed by own Facebook you will know that I recently used his lovely Uncommon Decency (a very wonderful book on civility) in an adult education class. This biography tells of the journey of one of the premier evangelical public intellectuals of our time. Blurbs on the back are stellar — Krista Tippett (I hope you know her “On Being” radio on NPR) says, after a lovely, lengthy description, “How grateful I am that Richard Mouw is in the world, and how glad I am that he has written this book.” Me too. I trust you will be too. Get it today! 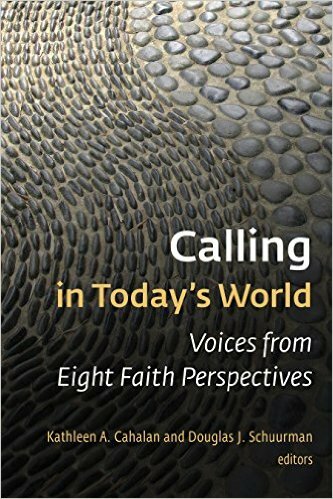 Calling in Today’s World: Voices from Eight Faith Perspectives edited by Kathleen Cahalan & Douglas Schuurman (Eerdmans) $25.00 There has been much written at a popular level on calling and vocation in recent years (yay!) and there have been a few very substantial theological reflections as well. This new volume is a fascinating work, a rather unique contribution, offering various takes on the notions of vocation, explaining how calling is perceived and practiced in eight different world religions and faith traditions. Included are how this key Christian notion is explained, construed, taught and lived out within not only Protestant and Catholic churches but within Judaism, Islam, Buddhism, Hinduism, among Confucianism and Daoism and even within more secularized humanism. Kristin Johnston Largen of the Lutheran Seminary at Gettysburg notes how useful this is for Christians in our increasingly interreligious world and that it is “interesting, accessible.” Calling in Today’s World is co-edited by Kathleen Cahalan of Saint John’s School of Theology and Seminary in Collegeville who recently co-wrote the excellent Christian Practical Wisdom: What It Is, Why It Matters and Douglas Schuurman who is professor of religion at St. Olaf College and the author of the thoughtful, must-read Vocation: Discerning Our Callings in Life. Some of the authors are themselves practitioners of the faith being described and a few are scholars but not adherents. It’s a fascinating work. 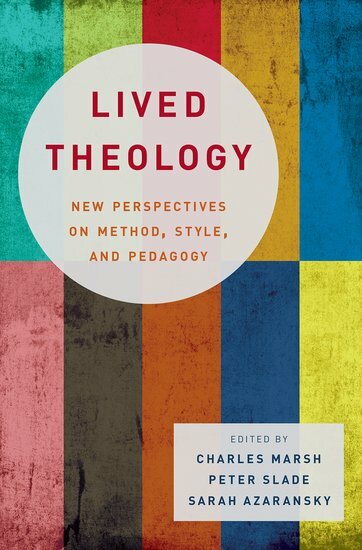 “Lived theology” has been among the most vivifying and necessary scholarly movements of the last decade and a half. In illustrating how to read the texts of people’s lives for clues about God, this book inspires, tempts, informs and provokes. 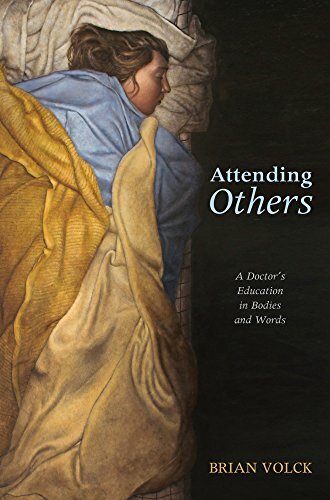 Attending Others: A Doctor’s Education in Bodies and Words Brian Volck (Cascade) $25.00 I feel badly that this stunning book can only be mentioned quickly here, now, as it is precious, artful, and wonderful. I hope to tell you more later. What a fine author this is, a poet and writer with an MFA who is a practicing pediatric doctor. He has co-written a previous book on medicine which is very important, but this, this, oh my, it is a beautiful work! There is a bit in here about his travels in the developing world, doctring in service to the poor in rural Guatamala, for instance. Much of what he has learned about medicine, he say, he has learned form listening well — to patience, to people, to children, and, yes, to books, literature and poetry. Warm and glowing endorsements are on the back from Wendell Berry, Paul Farmer, and other important writers. Attending Others is quite simply one of the most beautiful and thrilling and moving books I’ve read this year — it is very highly recommended for anyone who cares about medicine, health care, illness, bodies, justice, literature, life — whether one is a health care provider or not. Thanks, Brian, for your attention to work and to words. 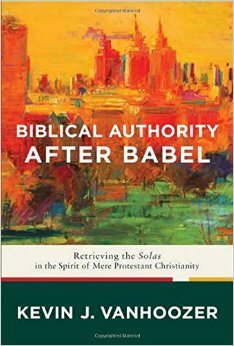 Biblical Authority After Babel: Retrieving the Solas in the Spirit of Mere Protestant Christianity Kevin J. Vanhoozer (Baker Academic) $21.99 Vanhoozer’s latest, long awaited book just arrived and is already being discussed in many places on the internet. You will be hearing more about this, I’m sure. 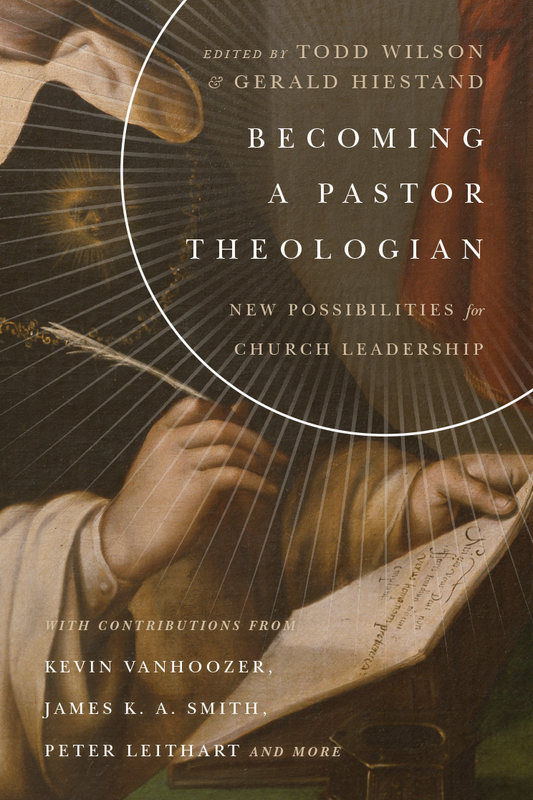 A major work by a significant author — not unlike Liethart, Vanhoozer is somebody who you simply must read if you are a working theologian. This one offers a “fresh appraisal of the core principles of historic Protestant Christianity.” As Reformation scholar Timothy George says it is “written with conviction, nuance, and wisdom, this is Kevin Vanhoozer at his best – a treasure.” Wheaton College prof Beth Falker Jones says “I’ve been waiting years for this book!” Even though the book is a call for Protestant unity around Reformation themes, Catholic theologian Matthew Levering raves on the back, insisting that those of other traditions should “listen to Vanhoozer’s rigorous, gracious, and erudite defense of the truth of Protestant Christianity.” We are entering the 500th year of the Protestant reformation, as I’m sure you know, so why not make this one of the books you read to help you enter the conversations. 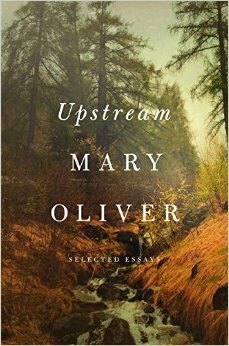 Upstream: Selected Essays Mary Oliver (Penguin Press) $26.00 This is nearly a publishing event, the first collection of essays by the esteemed poet, one of the most loved and respected of our time. I haven’t had time to read any of it yet – heaven help me if I’m too busy for Mary Oliver! – so what can I say? It’s dedicated to Ann Tyler. I’ve held the book itself with it’s lovely cover quite longingly. I am sure it’s pages are beautiful, honest, life giving. Of course, some of it may be almost what we might call nature writing — as anyone who loves her poems would expect. She reuminates and reflects in prose about some of the same themes that animate her poetry. But also, there is some writing about her “artistic labor” and that, surely, will be wonderful to behold. Some of you want this, some of you should read it, really. You know who you are. 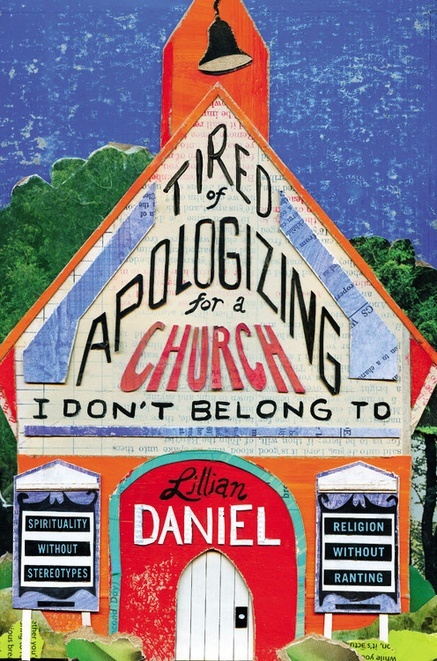 Tired of Apologizing for a Church I Don’t Belong To Lillian Daniel (FaithWords) $22.00 I suppose those who know Lillian will want to order this right away – she’s a respected, lively author, feisty as a progressive UCC pastor and yet eager to be clear about the centrality of the gospel. This may seem a bit like a variety of chapters (which is fine, given her writing talents) but it is more than a collection of her great essays even though each chapter could easily stand on its own (making it great for small group use) it does hang together. Like the title suggests, it is relentless in making a case for liberal church folk to stop apologizing for the worst of Christianity and redouble efforts to affirm and celebrate and invite people to open, good-hearted faith found most often in ordinary mainline congregations. Some of this new book found its genesis in the way liberal Christians criticized her last book (When ‘Spiritual But Not Religious’ Is Not Enough) and especially one widely circulated chapter that mocked those who call themselves “spiritual but not religious.” Mainline liberals, of course, are reluctant to criticize those hurt by the church or those whose spirituality is vague and sunshiny or unorthodox; some are so generous as to suggest we dare not criticize anyone (well, except for fundamentalists, but that’s another story.) Rev. Daniel offered a sharp and witty call to the so-called ‘nones’ in that book to grow up, get serious, and join a faith community that is more realistic, more gritty, more substantial, more lasting (built, as authentic faith is, on the Scriptures and traditions and ways passed down through the ages.) Well, now she’s pushing back a bit against those friendly fire critics, once again insisting that the most real faith is lived out in community with those gathered to worship and pray and serve and live out faith together. Lilian Daniel’s Tired of Apologizing… is at once what we might think of as liberal and yet calling us to solid, lasting things. It is witty, acerbic, tender, sharp, kind, funny and, at more than once, made me scratch my head. What a book! I hate the cover, but the writing is wonderful, the flow energetic and captivating. It is a good read for anyone trying to figure out the “nones” and how moderate, lively, progressive faith can gather people, not by always, always, complaining about the bad things of Christianity, but holding up the positive call to robust spiritual community. The Gospel According to Start Trek: The Original Crew Kevin C. Neece (Cascade) $24.00 Nearly three decades ago one could count on one hand (actually, a few fingers of one hand) the respectable books that explored the interface of popular culture and Christianity and even fewer were those that wisely approached popular culture in light of a robust, orthodox, Christian perspective. A seminal figure in the rise of a generation of scholars in this field was my old pal William David Romanowski whose Eyes Wide Open remains an essential read. The colorful, popular and at times breathtaking writer and thinker David Dark followed up with the must-read Every Day Apocalypse and, I’d say, by the turn of the century we were off to the races. We have shelves and shelves of pop culture studies, Christian views of contemporary music, video games, film and TV reviews. In the last year there have been some fun books on Star Wars, sci fi stuff, and, of course, the marvelous little book by Square Halo Books, Bigger on the Inside: Christianity and Doctor Who. But, oh my, haven’t we been waiting for a really good book on Star Trek? Friends, the wait is over. This is the book to read. It’s been in the making for years – the author studied under worldview scholar and Christian philosopher David Naugle (who calls this new book “a treasure”) and has been pondering this for years. I am so excited to announce it to the world. It is not simplistic or cheesy at all, but plumbs the episodes and deep ideas for gospel truths. This really is a wonderful new book. By the way, besides giving this to any Trekkies you know (Christian or otherwise – it’s that good!) it might be interesting to anyone with an interest in pop culture, history, big questions, and who enjoys pondering the sorts of stuff that has been being asked by sci-fi for a century. Star Trek itself premiered on NBC on Thursday, September 8th 1966. The show was entitled “The Man Trap.” This stuff has endured for a reason, and the market for this book is surely bigger than most of us might imagine. Why not get a few to give out, offer a class at church, or start a book club on campus. or at your local coffee shop? I bet it will attract all sorts of thoughtful conversation. 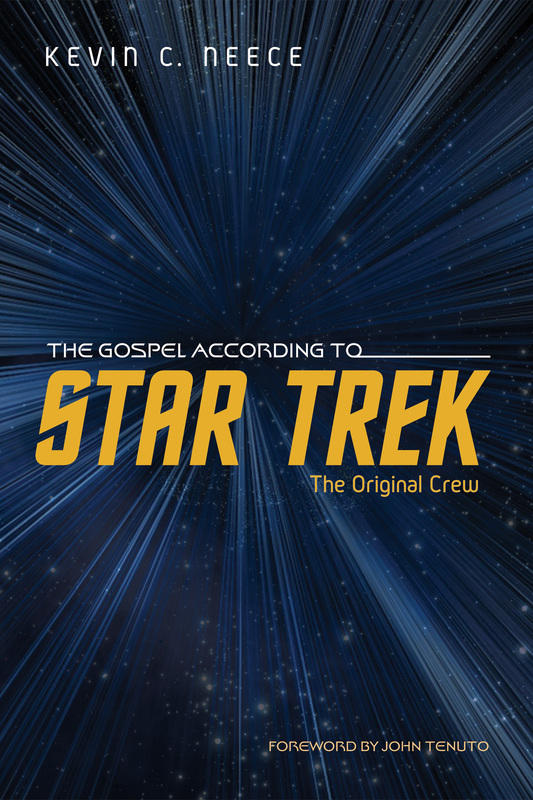 May this help us to, as Jesus offered in John 10:10, “live long and prosper.” Okay, sorry. I had to say it. Congrats to Kevin Neese for this marvelous new work. It looks really well done, with chapters on the identity of the pastor, examples from history (Calvin, Boston, Newman, Bonhoeffer) and six hefty chapters on the Bible and its commission for thoughtful pastors. Good contributions by Kevin Vanhoozer, James K.A. Smith, Peter Leithart, Lauri Norris, and others. At the risk of seeming like too much of a fanboy, I read the Jamie Smith chapter and, yep, it is worth the price of admission just for that one. Highly recommended. 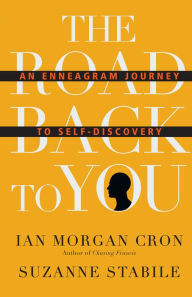 The Road Back to You: An Enneagram Journey to Self-Discovery Ian Morgan Cron & Suzanne Stabile (IVP) $24.00 study guide $9.00 I have not been one to warm up to the Myers-Briggs personality tests, the “Strength Finders” and other such assessment tools, let alone the weirder Enneagram. I know some folks have found it very helpful — Richard Rohr has a very good book on it — and spiritual directors and contemplative types use it to help folks not only with self- knowledge and better relationships with others but as a tool for spiritual formation in one’s deepest relationship with God. I get that, but it still has just been a bit too eccentric for me – when I hear people say their number (and their “wing” number) it just sounds too Gnostic, full of insider info, too much to keep straight. But, hey: this is the book to unlock the mystery, make learning this stuff fun (and useful) and help anyone grow into better self-awareness. (And, geesh, remember what Calvin said about the close relationship between self-knowledge and knowledge of God! So there, I say to myself.) The Road Back to you is a blast to read and helpful. I have loved the wildly well-written previous books of Ian Cron (you have to know his hilarious, poignant memoir Jesus, My Father, the CIA and Me: A Memoir, of Sorts and his novel Chasing Francis) but The Road Back to You is his funniest yet. He’s a born storyteller, there are tons of great examples and illustrations in this energizing book. His co-author is apparently one of the best trainers in E stuff anywhere (and quite a raconteur herself.) They tell you what their numbers are, and the numbers and wings of their spouses — and it all starts to make sense! Yes! I don’t care what triad or number or wing you are, or if, like me, you have no idea what any of that means — this is a fabulously interesting and enjoyable book and bound to help you find what they call your true self. That’s got to be good, eh? For what it is worth, the Enneagram system tends to categorize people by their personality trait that is informed by a certain sinful tendency, created by a particular woundedness. This self-awareness of the roots of our weaknesses and foibles and the messages of hope we most need to counter-act these deep wounds can be very, very helpful, even if you don’t buy the whole nine yards of this ancient template. There’s a good workbook to and I suppose only certain “numbers” will want to use it. I think it could be fruitful to actually process this stuff — maybe even do it with a small group that you trust. Could be fun. The book offers Christian insight, too, but it isn’t heavy handed. Did I mention that it is funny? And helpful? Tracing the Lines: Spiritual Exercise and the Gesture of Christian Scholarship (“Currents in Reformational Thought”) Robert Sweetman (Wipf & Stock) $24.00 As a younger man I was inspired, and I guess influenced, by the mostly Dutch neo-Kuyperian intellectuals who founded the truly remarkable grad and PhD-level college Institute for Christian Studies in Toronto. Professors and former PhD students from that small, rigorous graduate school such as Al Wolters, Brian Walsh, Richard Middleton, Sylvia Keesmaat, Paul Marshall, Jim Olthius, Robert Goudzewaard, Calvin Seerveld, Adreian Chaplin, James, K.A. Smith, and friends of ICS such as Jim Skillen, Evan Runner, Nicholas Wolterstorff, Elaine Storkey, Gideon Strauss, George Marsden, and Elaine Botha are all among those who pioneered the language of integrating faith and scholarship in the 1970s and on. ICS has carried on with this unique blend of reformational scholarship, holding up a vision of God’s shalom in all of life, including the mandate for an inner reformation of the fields within the arts and sciences, particularly as influenced by the philosophy of Dutch Christian scholar Herman Dooyeweerd. To serve God well in the world, we have to think well about the creation and the idols of the age. They do this at a pretty in-depth philospohical level, much of which is beyond those who are not professional scholars. But folks all over have understood the importance of their witness and have sacrificed to support their educational mission. Many still do. Recently the new generation of leaders at ICS have created a parallel think-tank called the Centre for Philosophy, Religions & Social Ethics (CPRSE) and it is in cooperation with them that ICS Professor Sweetman – a medievalist, professionally – offers this long-awaiting reflection on the very nature of distinctively Christian scholarship. 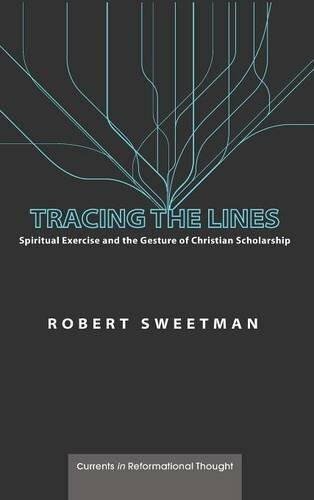 This remarkable new book, Tracing the Lines, is a must-read for anyone interested in serious-minded but spiritually alive thinking and for anyone working within the halls of the academy wishing to point the way to God’s healing grace in those academic disciplines. This learned book reads like an exciting detective story. A ‘Christian scholarship’ whodunit? Rather than give a traditional argumentative judgement, Sweetman ends up surprising us, and invites every scholar into the confessional: What is the shape of your heart aligned with the Scriptures? A genial, engaging, profound book. A lovely, challenging book for all Christian scholars concerned with a real connection between their scholarship and their hearts. Sweetman writes with the generous humility he advocates; describing Christian scholarship as ‘a beloved folk-recipe,’ he manages to simultaneously be philosophically rigorous and spiritually winsome. I want to be part of the scholarly community of mutual trust and correction to which he calls his readers. Perhaps this description will intrigue you: as a Reformed thinker, Sweetman (the H. Evan Runner Chair in the History of Philosophy at ICS) specializes in Dominican thought – in particular Aquinas, Meister Eckhart, and the florescence of women’s contemplative thought supported by Dominicans in the thirteenth century. As a reformational philosopher he stands particularly on the shoulders of Dooyeweerd’s colleague D.H.Th. Vollenhoven. 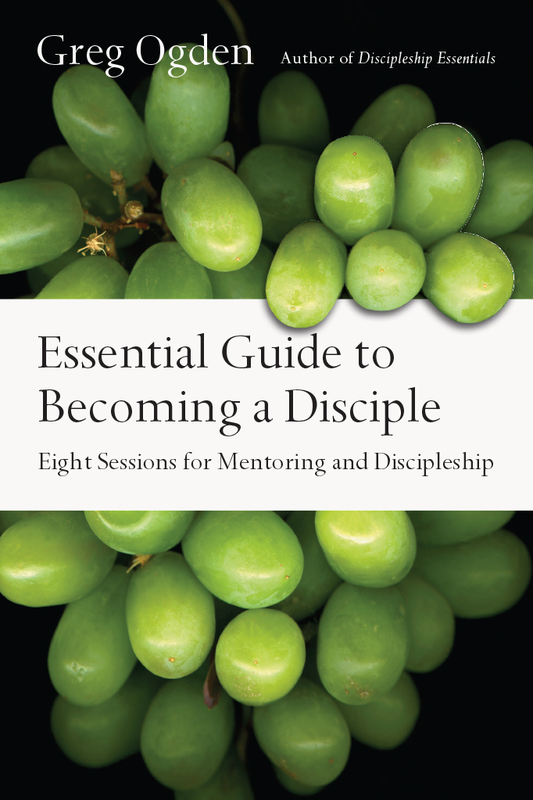 Essential Guide to Becoming a Disciple: Eight Sessions for Mentoring and Discipleship Greg Odgen (IVP) $15.00 Perhaps you’ve used the big collection called Discipleship Essentials: A Guide to Building Your Life in Christ. That one includes pretty demanding lessons and 24 of ’em. We are real fans of it, and its sequels such as The Essential Commandment: A Disciple’s Guide to Loving God and Others which is also quite thorough, but only 12 in-dpeth, practical sessions. This brand new one is a more easily used version, with 8 shorter lessons. I think this could be one of the very best little guides to introduce basic Christian stuff for beginners. Or anyone who needs a clear, empowering, refresher on discipleship. I trust Ogden a lot, and enjoy these lessons — which, by the way, carry an extra benefit: folks learn to look up Bible verses and study the Scriptures for themselves. Ogden’s classic guide to mentoring others — in triads, he mostly recommends — is called Transforming Discipleship: Building Disciples a Few at a Time and it, too, has been revised and recently reissued. Nice. By the way, Greg Ogden used to be at one of the Pittsburgh churches (Bellefield Presbyterian) where the CCO was first working. His passion for outreach in the campus community was significant, and his training others to disciple young Christians in helpful ways was legendary. I’m glad to have met him years ago, and respect these fine, Bible-based, lessons for growing in faith and practice. 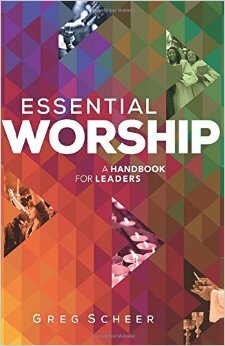 Essential Worship: A Handbook for Leaders Greg Scheer (Baker Books) $19.99 Speaking of Bellefield Presbyterian Church in Pittsburgh, this author used to be the organist and worship leader there. I recall as a young man — I love telling this story — how he told me he was going to write a book. If I knew him better I would have realized he was gifted, insightful, creative, and would, in fact, write a book. We recommended any number of important resources to him in those years and, sure enough, as he was moving to the wonderfully liturgically rich CRC Church of the Servant in Grand Rapids, his first book came out. We love The Art of Worship and feel glad that we sold books to him in those years, surely setting him on a path towards what he is today — one of the most esteemed liturgists, contemporary worship leaders, and creative worship pastors in the country. Greg is a contributor to several well loved hymnals, is a music associate with the Calvin Institute on Christian Worship, and his music has been published by publishers such as Augsburg Fortress, GIA, Abingdon, and Worship Today. Greg Scheer offers personal and fresh perspective on the inter workings of corporate worship with is unique blend of levity and insight. This book is a good springboard for conversations and growth for both worship leaders and congregations.